2010 PRE Grey Filly by Feudal VIII (Blue Moon Ranch), out of our Revised PRE mare, Wenatchee. 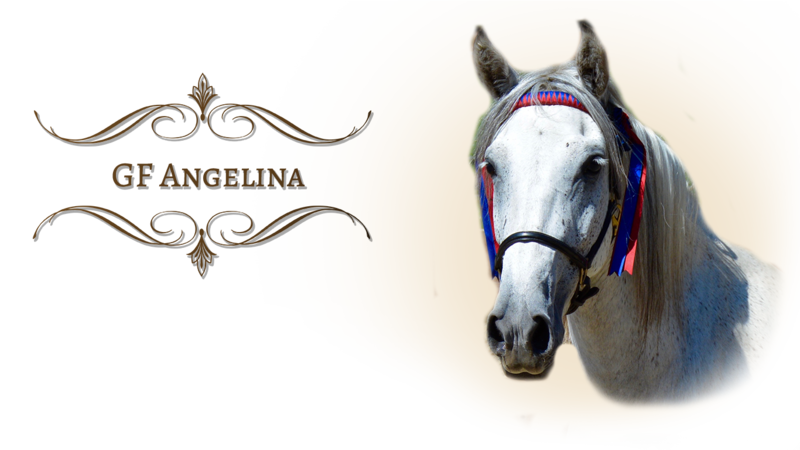 Angelina is a lovely combination of her sire and dam. She has her dam’s sweet temperament and warm personality, as well as her sire’s big fluid movement and wonderful suspension. 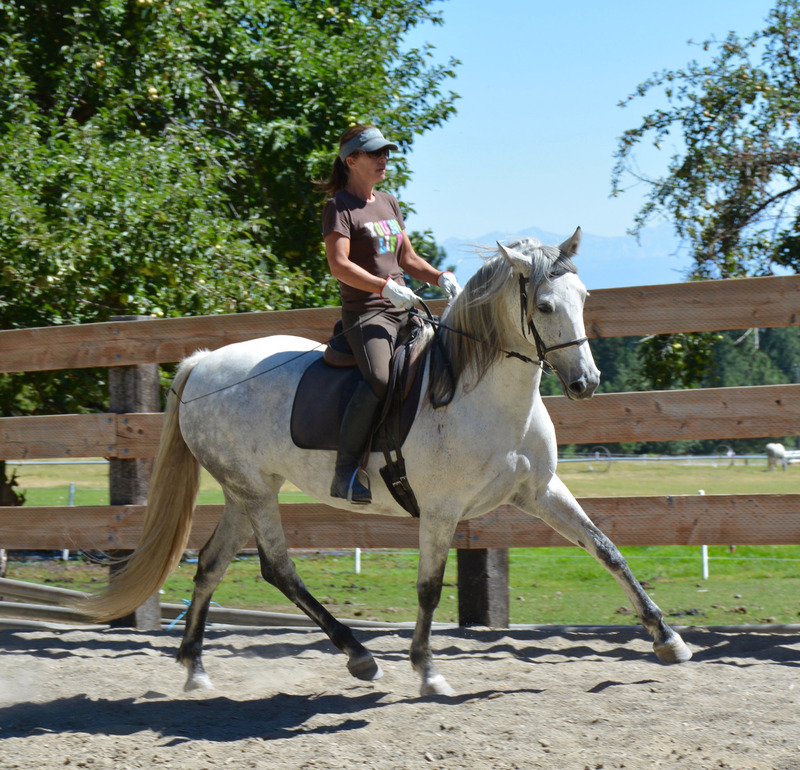 She is a lovely conformationally balanced mare, standing at 15.1hands. Angelina is very social with both people and horses, seeking us out whenever we step into her world. She is a left brained extrovert with a personality that seeks to please. She is a great student, learning quickly the games we have begun. Summer of 2012 we started Angelina in ground school on the long lines with a saddle. She was consistently forward, willing and comfortable. Angelina shows great promise and potential to be an excellent riding partner. Summer of 2014 had Angelina started under saddle. We are very pleased with her forward progression, great work ethic and growing confidence. She is a stunning young mare with a great mind and attitude. Summer of 2015 we took Angelina to her first clinic with Miguel Duarte. She performed very well and received high acclaim from both clinician and audience. As her training continues this season, Angelina is developing wonderful confidence, balance, and collection. She is a beautiful mare!